I happened to finish fast today, which happened to make me consider if I should upload this today or tomorrow. I decided to be a nice person, and deliver you a chapter. Young Gongson Chun Gi looked up at the man sitting on the top of the tree. The man with the red hair. He, who was the previous pope of the church, the Hellfire Demon, made a dumbfounded face. He then replied to his disciple with a smirk. Young Gongson Chun Gi tilted his head in curiosity. Looking at that, the pope spoke. When young Gongson Chun Gi asked this with a happy face, the pope just muttered something while looking up at the sky. When the pope heard Gongson Chun Gi’s comment from below, he just laughed. Young Gongson Chun Gi made a surprised face. That’s how the pope passed on his martial arts techniques to young Gongson Chun Gi, all the while complaining about his own circumstance. After several decades, Gongson Chun Gi was looking up into the sky at the same place where he held the conversation with his teacher. Gongson Chun Gi grinned, and stroked the the same tree the previous pope sat on. Touching the rough bark of the tree with his palm, Gongson Chun Gi kept muttering to himself. The person who chooses the disciple isn’t the teacher. The teacher merely provides a chance for the disciple to take him, but the final decision is always made by the disciple himself. Gongson Chun Gi stared up at the sky, and jumped up to the tree branch his teacher liked to sit on. He spoke again while lying down on the branch. Gongson Chun Gi looked up at the sky, which was obstructed by several leaves and branches, and smiled. Gongson Chun Gi met the pope at Gansu, and not the main headquarters of the church. That’s why Gongson Chun Gi believed that his meeting with Cho Ryu Hyang might’ve actually been fate. Guardian Wu smiled a little as he followed Gongson Chun Gi. There was no way that was the case. The pope’s the one that makes decisions. And the child would definitely not refuse. Think about it. How could you refuse, when a person offered you money and fame? Unfortunately, the boy they were meeting seemed to be either one of those two. Cho Ryu Hyang was unable to figure out what the pope meant. When he made a confused expression, Gongson Chun Gi scratched his cheeks and talked. Cho Ryu Hyang answered Gongson Chun Gi without even a hint of hesitation. Guardian Wu left the pope behind and grabbed onto Cho Ryu Hyang’s hands. He looked into the boy’s face with a desperate expression. Cho Ryu Hyang made a troubled face. He didn’t know why this bearlike elder was being so lively here, but the old man’s actions here was just bothering him. Right when he was about to speak, Guardian Wu started talking again. When Cho Ryu Hyang was about to speak, Guardian Wu yet again cut the boy off. Gongson Chun Gi pulled back the old man, who was talking non-stop in front of Cho Ryu Hyang., and apologized. Cho Ryu Hyang nodded. Looking at that, Gongson Chun Gi made a regretful face, but soon shook his head. Gongson Chun Gi spoke whilst looking at Cho Ryu Hyang. Guardian Wu thought that that last part was just a big fat lie, but he didn’t say it out loud. He just started punching his chest in frustration. Cho Ryu Hyang, who was looking at the old man, spoke. It seemed that he finally got a chance to speak up. Gongson Chun Gi’s eyes widened. When Cho Ryu Hyang said this, Guardian Wu’s face brightened considerably. He looked at the pope with eyes filled with respect. Cho Ryu Hyang made a confused face when he heard this conversation. He didn’t understand what was going on. While Gongson Chun Gi was trying to think about what he should say next, Guardian Wu spoke to Cho Ryu Hyang with a smile. Gongson Chun Gi’s face twisted a little when he saw Cho Ryu Hyang’s face change. It was too late to fix anything now. Gongson Chun Gi glared at Guardian Wu with murderous eyes, then spoke. Cho Ryu Hyang’s face shook noticably. Gongson Chun gi, who was observing the boy’s face, kept talking. It felt like he was hit was a jackhammer. Cho Ryu hyang rubbed his eyes a little. What did they just say? Did he listen correctly? He had to talk with his teacher first. It felt like he could be able to accept all this after talking about why his teacher made this decision. Jo Gi Chun looked at Gongson Chun Gi, who had visited him while he was observing the formation, and sighed. It seemed that it was an accident. And he was apologizing, too. After listening to everything, it seemed that he too, had to take some responsibility. Jo Gi Chun nodded, and went to the room that his disciple was in. Cho Ryu Hyang was waiting for him. The boy, who had prepared some tea on a small table, stood up when he saw his teacher enter and proceeded with the formalities. Jo Gi Chun sat down on the spot where Cho Ryu Hyang was sitting, and poured some tea for himself. This felt ominous. When Cho Ryu Hyang made a dark face, Jo Gi Chun spoke. Jo Gi Chun finished pouring tea for himself, and looked at Cho Ryu Hyang. A while later, he spoke. Cho Ryu Hyang stared at his teacher’s face. Jo Gi Chun too, gazed upon the boy. How long did they look at each other? Cho Ryu Hyang’s face changed quite a bit during that span of time. At first, a surprised face, then a regretful one. And the face at last settled on an emotionless expression. Cho Ryu Hyang began talking slowly. But that’s why he felt that he had to give up on the boy. He couldn’t have a boy with this much talent tied down by math. That would make him truly selfish. He even ignored his family out of selfishness. When he thought that much, Jo Gi Chun made a bitter face. Jo Gi Chun put the teacup to his mouth. His trembling hand clearly showed how much he regretted his decision. Cho Ryu Hyang stayed silent when he saw his teacher’s trembling hand. He was able to see that his teacher didn’t make this choice easily. Because he was his teacher. Because he knew what his teacher was like. As they talked with each other, Cho Ryu Hyang was able to realize that his teacher made a difficult decision. Just what does that change? His teacher was trying to send him away. Even though his teacher doesn’t want it, he is trying to push away his only disciple. Since his teacher treasured Cho Ryu Hyang very much, the teacher’s mind wouldn’t change. Cho Ryu Hyang asked himself a question. But he didn’t really need to do so. He didn’t want to leave his teacher. How should he make it so that he didn’t have to leave his teacher, then? As much as Jo Gi Chun loved his disciple, Cho Ryu Hyang respected his teacher. Cho Ryu Hyang also knew that there was no one else like his teacher in the world, a person who understood Cho Ryu Hyang to that degree. No, to be specific, he liked studying mathematics with his teacher. It was like that in the past, the present, and it wouldn’t ever change in the future. He couldn’t abandon his teacher, who he could learn from, and share discoveries with. Cho Ryu Hyang looked at his teacher again. He could see his teacher, who possessed eyes eyes of firm determination. Cho Ryu Hyang’s face slowly wrinkled when he saw it. His teacher wouldn’t take it. His teacher had a look of determination in his eyes, and through it, one could see that the man didn’t make this choice for mere comfort. The man made this choice, firmly believing that Cho Ryu Hyang would benefit from this. 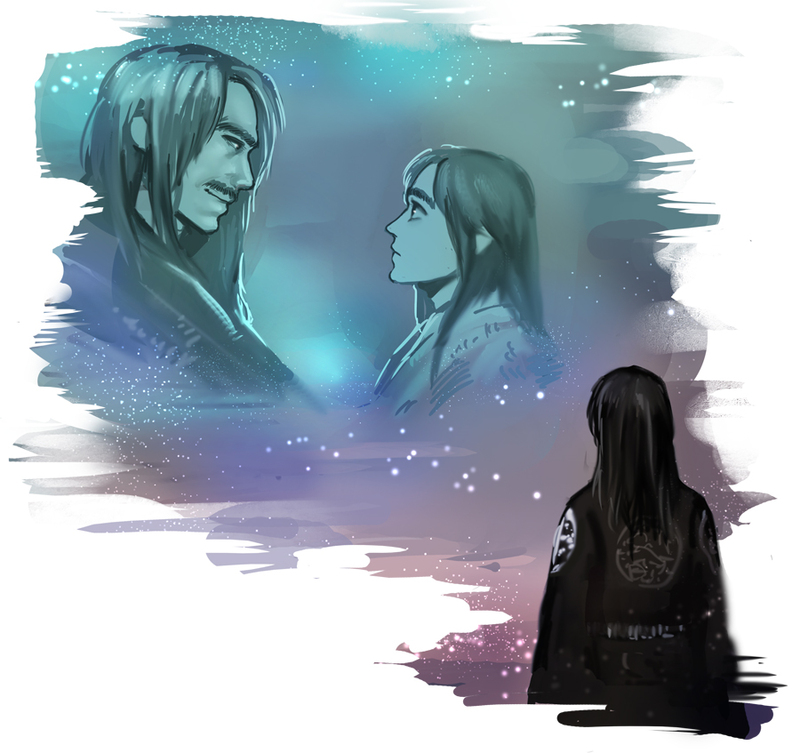 he could feel how much his teacher cared for Cho Ryu Hyang’s future. What kind of a disciple would leave a teacher like that? Cho Ryu Hyang organized his thoughts, and spoke. Jo Gi Chun closed his eyes. Good. It seemed that his disciple understood his intentions, one way or the other. It hurt him to see the cold eyes of his disciple, but didn’t he brace himself for that already? There was no need for him to be sad, or regretful about all this. When he set his mind on this, his disciple opened his mouth. Jo Gi Chun stared at his disciple. Humans can’t live greedily, doing whatever they want. But Cho Ryu Hyang right now was going to be greedy. It was a foolish request. But this was the best Cho Ryu Hyang could come up with at the time. After having Jo Gi Chun agree to his plan somewhat, Cho Ryu Hyang began thinking. He had to get the pope to agree to this. Otherwise, his beloved teacher might leave him. Cho Ryu Hyang wanted to avoid that at all costs. Ahh… i suspected this might happen, ve~ry greedy though as an MC should be. I don’t think the pope would have a problem with taking on a formations expert, even less of one with him teaching the future pope, but it would be problematic if they both tried to share the same disciple. So one teacher would have to be subordinate to the other, and at the moment, regardless of what he’s told, I think the MC would follow his current teacher if he opposed the pope. Thanks a lot! Am i first?! Haha, doesn’t matter! Yes! Yes! I was waiting for this chapter, where Cho Ryu Hyang learns about his Jo Gi Chun’s difficult decision…i’m so touched at their relationship! Two teacher! Oh yes, womderful! Do that, do that! Thanks for the chapter. I really loved it. The relationship b/w student and tracher, sublime. Thanks for maintaining the regular schedule of releases. I like this MC, I love this story, and I like you for translating it. You are my friend now! You have no choice!